This delightful red gingham school dress is the model lightweight option for summer school uniforms and is made from 100% pure organic cotton. It is charmingly designed with many appealing features including gathered detailing, lace trim and a stylish bow. It is a regular fit knee length dress with short sleeves and also has a button fastening and 2 side pockets. Organic cotton is not treated with any chemicals to stop shrinkage, therefore, the garment will shrink by up to 5% after the 1st wash (Wash before use at 30C) but the dress is cut more generously to allow for this. Iron whilst garment is slightly damp and place a cloth over your garment to reduce sheen. 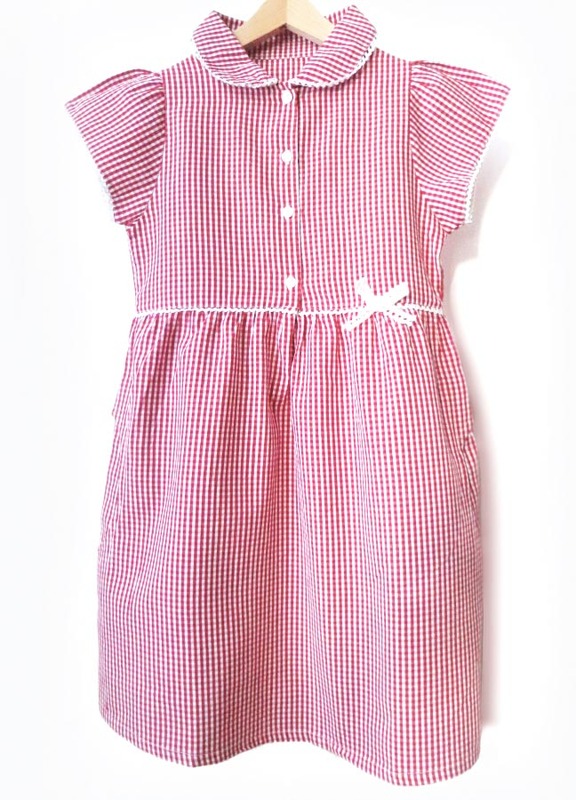 The Girls Gingham Checked Summer School Dress - Red - Junior product ethics are indicated below. To learn more about these product ethics and to see related products, follow the links below. 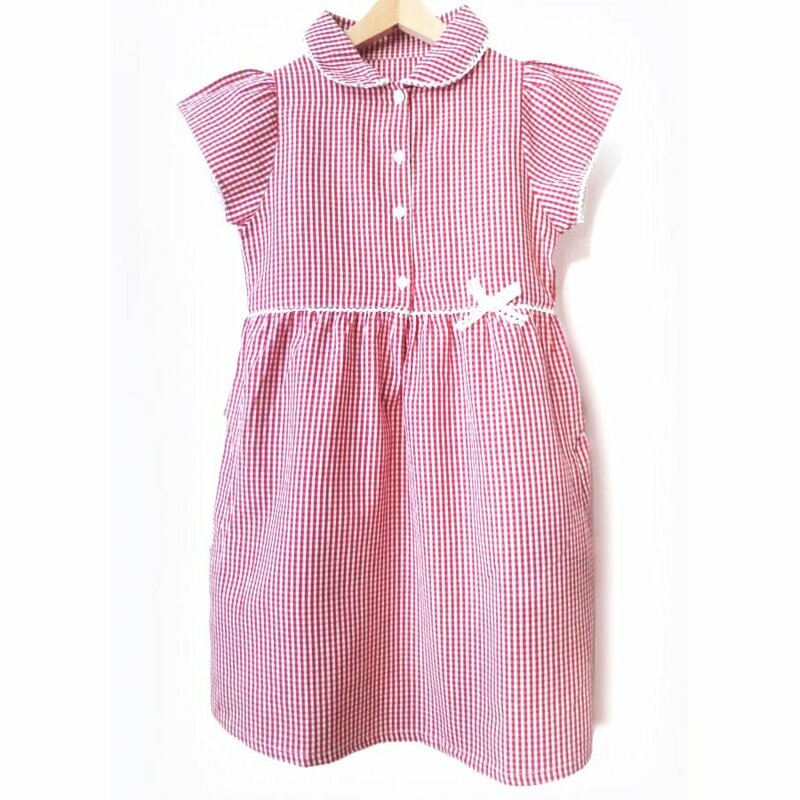 There are currently no questions to display about Girls Gingham Checked Summer School Dress - Red - Junior.